Starting next Wednesday, August 30, Spokane is Music City USA with 85 bands performing at the 38th annual Pig Out in the Park at Riverfront. Three stages with 6 days of non-stop music from noon until 10pm every day. I will be the host at the Clocktower stage so come by and say hello. Go to spokanepigout.com and check out all the great music coming your way. 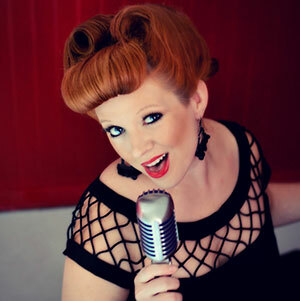 This Sunday, August 27 the Sara Brown Band brings their Modern and Retro R&B and Soul sounds to Arbor Crest Winery. The weather and wine will be great so come enjoy Spokane's most spectacular music venue. Go to arborcrest.com for all the details. 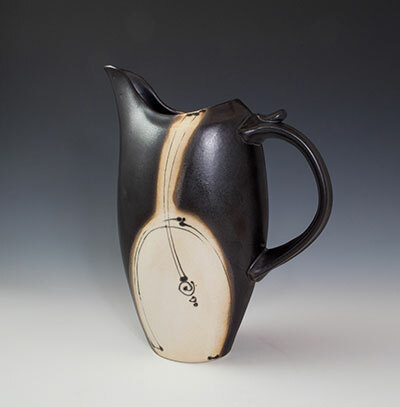 The Trackside Gallery at 115 South Adams presents Seattle artist and craftsman, Loren Lukens, one of the most respected studio ceramic artists in the Pacific Northwest. There's an opening reception this Friday, August 25 from 5-8pm. The show runs through September 23. Go to tracksidegallery.net for more information. The Annual Northwest Bach Festival & Series presented by Connoisseur Concerts has expanded into a year-round presenter of classical music concerts by adding to the a December Winter Classics Series and SummerFest Series with concerts in Spokane and Coeur d'Alene, August 27-September 1. Sunday, August 27, 3pm at Barrister Winery, 1213 W. Railroad Avenue in Spokane, SummerFest kicks off with a special performance featuring Nikita Borisevich, violin; Amanda Howard Phillips, violin; Jeannette Wee-Yang, viola; John Marshall, cello; Zuill Bailey, cello, playing Schubert Quintet in C Major. The same performance will be offered on Monday, August 28, 7:30pm at the Concert at Hagadone Event Center, 904 Floating Green Drive, Coeur d'Alene. Friday, September 1, 7:30pm Concert at Historic Hamilton Studio, 1427 W. Dean Ave. in Spokane. Pianist Navah Perlman, daughter of renowned violinist Ithzak Perlman, will present Unforgettable Musical Memoirs, which include family photos and musical selections from Schumann, Beethoven and Chopin. For tickets and more information ,visit nwbachfest.com. 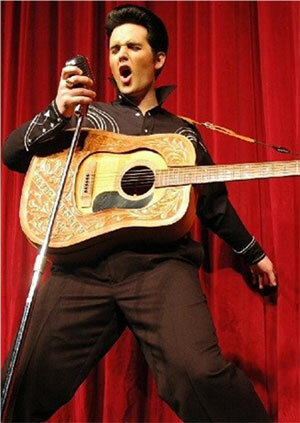 Randy Klein brings his Elvis show to the Reserve, 110 N. Wall Sunday, September 10 at 7pm. All Tickets are $10, available at the door. For Advanced tickets, call Gwen at 509-868-4671. Age 21 and over. Food and drinks available for purchase. The Spokane Symphony presents Soiree on the Edge tonight, August 23 at the Cliff House Estate at Arbor Crest, starting at 7pm. This special outdoor concert on the beautiful grounds at Arbor Crest, will feature the Spokane Symphony and Conductor Morihiko Nakahara, playing works by Stravinsky, Andy Akiho, Dvorak and more. General admission is $20 and will be available at the gate. For more information, visit spokanesymphony.org. This Thursday, August 24 through Sunday, August 27 in Mirabeau Meadows in the Spokane Valley will be a time for reflecting at a replica wall of the Vietnam Memorial when KSPS TV and community partners bring the 250-foot wall to our area. The display will be open around the clock from the opening ceremony at 9am on Friday, August 24 until the closing ceremony at 4pm on Sunday, August 27. To remember the 253 armed service members from our region who lost their lives during the Vietnam War, each will be recognized by a reading of the names of the fallen at the opening and the closing ceremonies. A field of small American flags representing each casualty will be placed on the park grounds. Visitors will be able to see many of the fallen in pictures on display at the Wall's accompanying Mobile Education Center. Mirabeau Meadows is located at 13500 Mirabeau Parkway in the Spokane Valley. Kelly and Ellis, two of Nashville's most accomplished hit-makers, country duo, perform at the Bing Crosby Theater, Thursday, September 21 with local artists Luke Yates and Nick Canger opening the show. Leslie Ellis starred on Broadway in Cats, singing the legendary song, 'Memory,' and she won a Grammy with Celine Dion for the blockbuster hit song 'My Heart Will Go On' from Titanic. 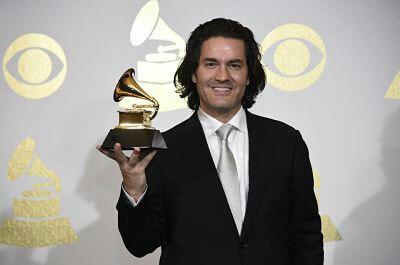 Casey Kelly has toured with Loggins & Messina, The Beach Boys, BB King, and wrote several #1 songs, including 'Anyone Who Isn't Me Tonight' recorded by Kenny Rogers and Dottie West. Their debut album as Kelly & Ellis, 'The Long Road to You,' was just released and is climbing charts across Europe and the United States. For more concert information and tickets, visit bingcrosbytheater.com. World Wrestling Entertainment. Is it real or not? It doesn't matter...it's highly entertaining. And WWE Live returns to the Spokane Arena on Sunday, October 1. This is your chance to see a WWE Championship Match when WWE Champion Jinder Mahal takes on Shinsuke Nakamura and a United States Championship Match when US Champ AJ Styles takes on Kevin Owens. Plus many more of your favorite WWE Superstars. Art & Glass Fest is at Arbor Crest this Saturday & Sunday, August 26 & 27 from 11am-6pm. Featuring dozens of creative artists and their work, from paintings and photographs to glass sculpture, mosaics, jewelry and more. Live music performed by One Street Over, (Bridget & Michael Lewis) from 1-5pm. Visit arborcrest.com for more information.